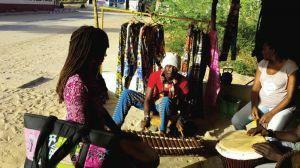 “I went back to college as I am working on my PhD in history for which my focus is Senegal; I wanted to experience the Senegalese culture and learn Wolof - the most popular Senegalese language,” said Ofosuwa Abiola (51). She decided to travel to Senegal with Projects Abroad to participate in their Wolof Language Course. 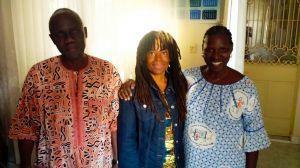 Ofosuwa was placed with a Senegalese teacher for her Wolof classes during her one month stay. Even though she came with no knowledge of Wolof, she was able to, after some lessons, start conversations with people on the streets. “I put all my lessons together on my computer, it is quite a book,” she said as she showed her notes. Her first lessons focused on vocabulary; later they included more grammar and some usage notions. Finally, her last week focused on conversation skills.